There is a lot of thought that goes into purchasing a fishing set. 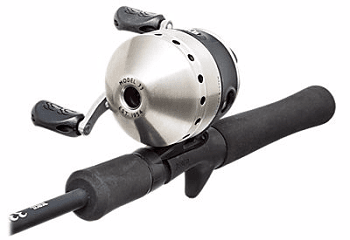 Getting the right rod is challenging enough, let alone getting the most appropriate reel for this rod. And, this particular task is going to get a lot more challenging if you had to go through it twice in order to get an appropriate combo for your wife as well. This is definitely something that you might want to take into account when it comes to it as it is going to take you a lot of time and effort. 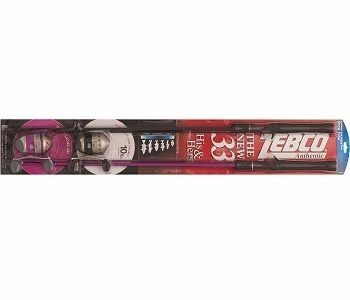 This is where the Zebco 33 His & Hers Combo, 5'6 comes into the picture to provide you with a helping hand. We’ve taken the liberty of providing you with a comprehensive and objective overview of the product so that you can decide for yourself whether or not it is one which is going to do you any good. Well, given the price as well as the fact that there are actually two combos in the package, it would be rather silly to claim that this is the most reliable and sturdy solution that you can go for. However, if you and your wife are looking for a convenient fishing combo for your get-away weekend in the mountains, this is the perfect solution. It’s convenient, compact and surprisingly well-performing and it’s going to provide any entry-level fisherman with a lot of convenience. This is most definitely something that you want to take into proper consideration when it comes to it. There is not a lot to be said about the fishing rods. Now, obviously, there are two of them. Right off the bat, there are a few main characteristics that you would have to take into account. 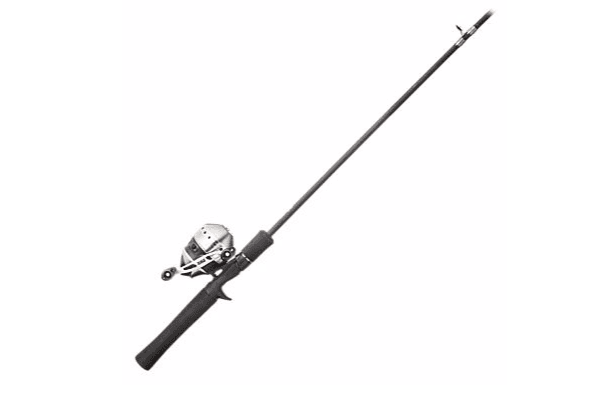 Length – the fishing rods are 5 feet and 6 inches long and they come with two-piece design. This is something that you want to pay detailed attention to. The length of the rod is a critical factor which is something very important when it comes to a lot of additional features. Right off the bat, the length is going to determine the action and the overall power of the rods. These particular ones are shorter than the average ones and this means that you can expect more power and faster action, hence allowing you to handle some moderately larger fish. Once again, it’s not advisable to push your luck excessively as these are clearly entry-level solutions. Balance – if one thing, the rods are well balanced. This set comes with convenient handles and EVA grips which attribute to a well-rounded overall feel and comfort. This is something that you need to consider. It is going to provide you and your wife with convenient fishing opportunities, which is most definitely something that you should account for. It’s safe to say that both solutions come with the same reels. This is something that you need to take into account. Now, the reel is going to come with changeable retrieve – for left and right hand users accordingly. This right here is a convenient approach as some manufacturers are going to make it pre-fixed which is something to account for. Additionally, the reels come pre-spooled with 100 yards of 10-pound Cajun line. This is something that says quite a lot about the performance capabilities of the rod. 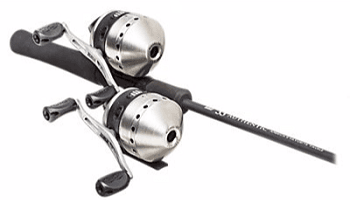 If you are looking for a solution which would enable you to tackle big fish, you should look the other way as these rods and these reels are designated for about 10 pounds game. This is something which should be more than enough for entry-level fishermen and you wouldn’t have any issues if you are looking for something to help you spend some nice and enjoyable time with your loved one. In any case, you need to be well aware of the fact that everything needs to be handled properly. If you are looking for an advanced set for your fishing undertakings, this is most definitely not the product to consider. The main designation of this unit is to provide you with a convenient, quick and almost ready-to use solution which would enable you to pick it up on the go and get to your favorite fishing spot to spend some great time with your wife. This is all that it is. You shouldn’t expect any serious capabilities as the rods or the reels are definitely not designated for this.